Kimi Raikkonen says he would not have turned up to the Korean Grand Prix if he had any fear that his back issues would prevent him from racing. A flare-up of back pain from an old injury interfered with Raikkonen’s Singapore GP a fortnight ago. 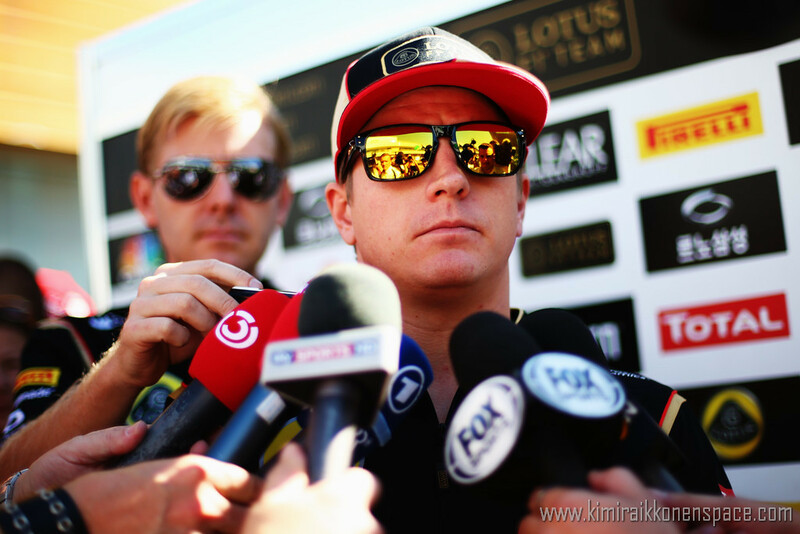 Although Raikkonen acknowledged that he could not properly assess his condition until he drove in Friday practice, he said he had arrived at Yeongam certain he would start the grand prix. “I wouldn’t be here if I wouldn’t be racing,” he said. “It would be a bit pointless to come here if I didn’t think that I would race. “Obviously tomorrow we’ll see. Right now it’s OK. It’s always difficult to say until you drive, but I think it should be fine. “Once we try it tomorrow, I’ll know more. Like I said already at the last race, this wasn’t the first time and I’m sure it won’t be the last time. Lotus prepared reserve driver Davide Valsecchi as a potential stand-in for Raikkonen when the issue became troublesome during the Singapore weekend, and the Finn was only able to qualify 13th. He recovered for race day and charged to third place. Raikkonen did not think the problem would require any special attention before he returns to Ferrari for the 2014 Formula 1 season. “I’ve been OK every year I’ve been racing,” he said. “Sometimes I have to deal with the pain.